Choosing WordPress is the right option for you if you are among the folks who require websites that are easy to maintain. More than 75 million sites are powered by WordPress, which is another reason for opting for this CMS when it comes to developing interactive business websites. The popularity of WordPress as the best content management system is growing every day as it offers tons of the benefits to the users even if they are not technically sound. It is a well-known fact that WordPress was launched as a blogging site; however, it slowly earned the crown of being the best CMS. Such a phenomenon offered popularity to this platform and increased the demand for WordPress website development. There is no doubt that this platform has some of the most powerful tools that help in making it the right option for the website development requirements. Here are more reasons that clearly state that WordPress is the best when you require working with a feature-rich platform. 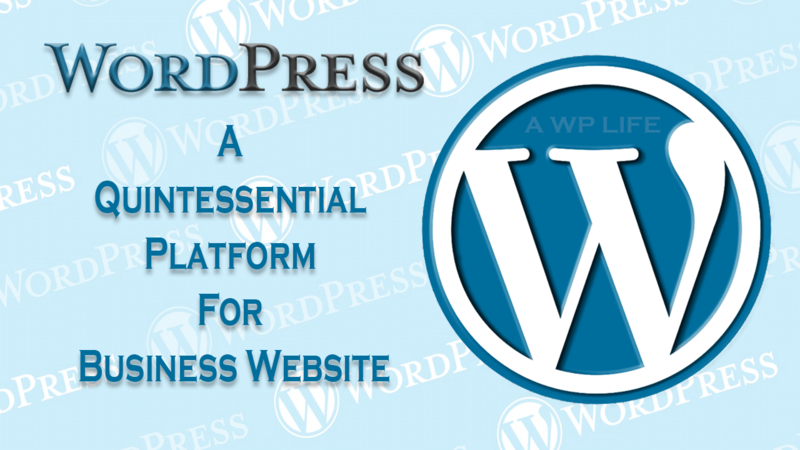 Using WordPress is extremely easy and you do not need to be an HTML coder to use this platform. With just an internet connection and a web browser, it is extremely easy to accomplish a WordPress website development project. The official WordPress website is the right place to initiate the web development task. A little knowledge of using the CMS can also help you to customize your website as per the requirement of the business and the visitors coming to the site. You do not need to be a programmer or a web designer to use the WordPress. The reason that makes this platform an easy to use content management system is the availability of plugins and themes. These elements help the beginners, as well as experienced developers, get the opportunity to give any look to their websites. WordPress theme development can ideally be utilized for a photography theme, magazine theme, portfolio theme or an e-commerce theme as per the requirement. The structure of WordPress websites makes it easy for Google to crawl and index the site well. It provides a better ranking to the website and thus, accomplishes the ultimate aim of creating the site. Thus, the platform is much easier to handle and get better returns in the form of increased web rankings. This platform has default features as well as plugins that help in boosting the ranking of the sites developed as custom WordPress websites. Thus, the owners can easily drive traffic towards their site. The ultimate aim of developing the websites lies in getting higher web ranking. Google plays an important in the ranking of the websites and as the giant search engine loves WordPress; it ranks such websites much higher over the web. Moreover, WordPress is text-based and Google favors text-based websites. Google is also in the favor of mobile-friendly websites that can be designed with WordPress. These sites work efficiently on any of the devices. WordPress is an open source that means it is free to be used by anyone. There are currently 2600+ WordPress themes available for free and such a feature makes this open source platform an easy to use content management system even for the new users. The platform has been developed with the continuous support of the community that keeps on updating and sharing the new developments. Thus, users remain updated with every new development that helps them manage the platform extremely well. Priya is a Technical SEO at Hopinfirst, a leading mobile app development company which provides best ios app development and Android app development services.